Messily freehanded tips brought to you by WnW Black creme. This is...beyond words. 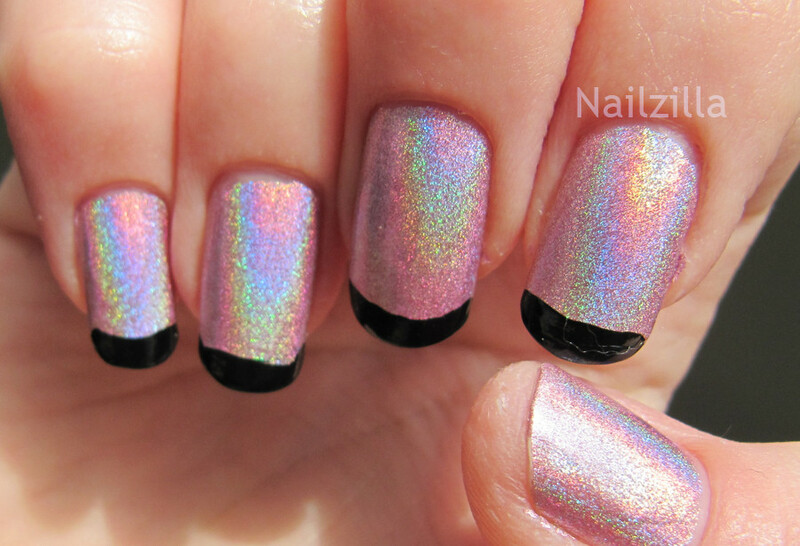 Nfu-oh 63 is a FANTASTIC holographic polish, which looks great in pretty much any light. It's a light pink dull metallic base which lights up like a flame whenever there's any light. It looks starkly different from nfu-oh 61's new formula, or the "dud". It's base color is duller than new 61 (new 61 is a very shiny silver) and the holographic effect is much more intense. Keep readin for rainbow nails! 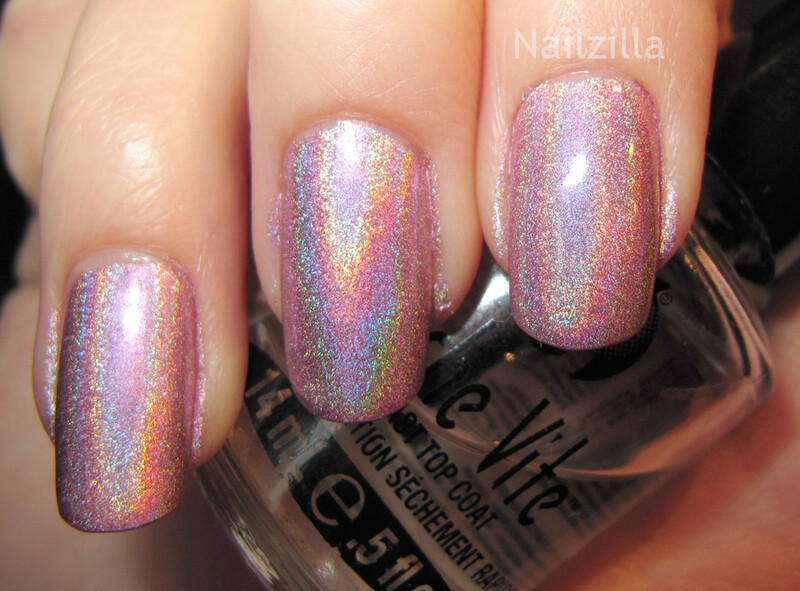 I tried putting Seche Vite over 63, but it dulled the effect drastically. I will show you a few comparisons of the topcoat/no topcoat difference. and a blurry photo to show the difference in rainbow. This polish dries fast, HAS to be used over Aqua Base, looks solid in 3 coats. THIS is one of my top holographics! Granted, I've been bombarded by holos lately...but there is never a thing such as "too much holos". 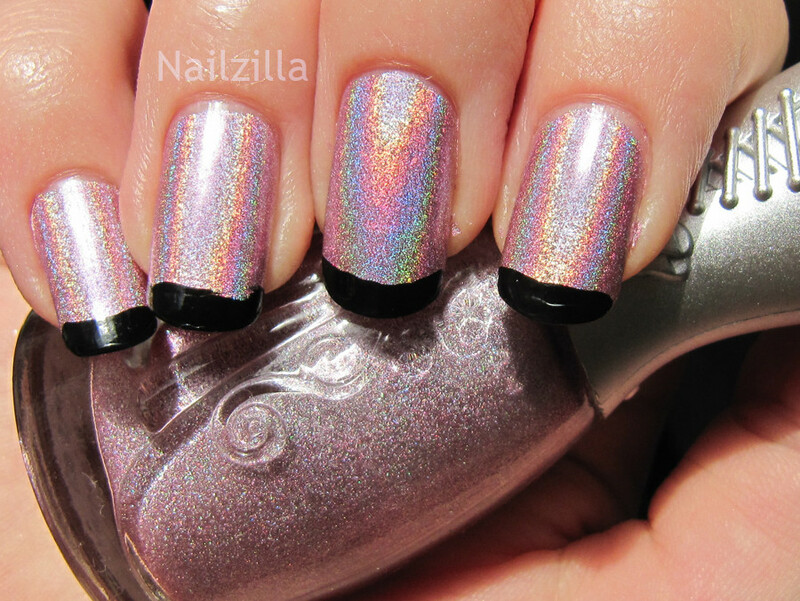 WHOA could this color be any more amazing?! O___O My eyes are like spazzing at the sight of this one. Love it! 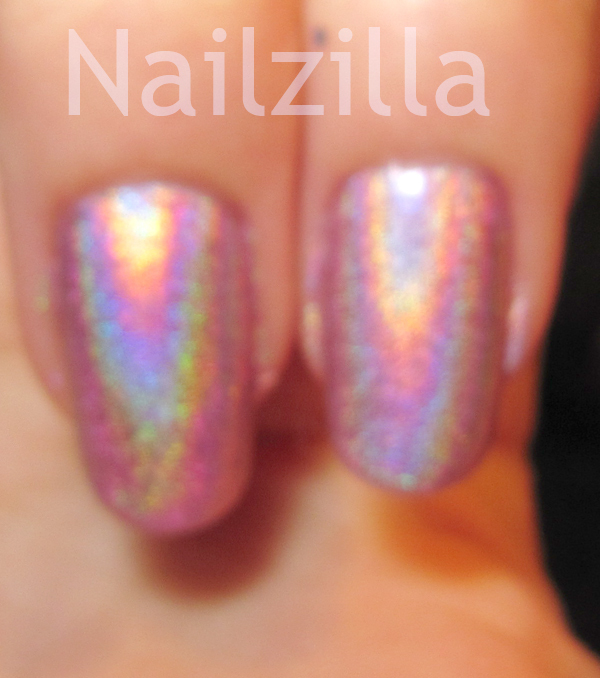 I'm not crazy for holos.... but my gosh, that is pretty! ah! why dont i own ANY of this brand? incredible! Sneakerette: I didn't know it'd turn out so nuts! The pinkness just adds to the crazy. Miss Blue: yeah :( holo chips fairly fast with no topcoat.